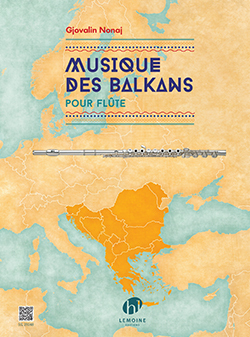 Pjese instrumentale për flaut n°1, 2, 3 (Pièce instrumentale pour flûte n°1, 2, 3) – Valle e gëzuar malesore (Danse joyeuse montagnarde) – Ejani të festojmë së bashku (Viens… fêtons ensemble) – Rapsodi kushtuar nënës (Rhapsodie dédiée à ma mère) – Këndon bilbili (Quand chantent les oiseaux) – Sa e bukur je Shqiperi (Que tu es belle, l’Albanie) – Valle me motive shqipetare (Danse d’Albanie) – Rapsodi instrumentale ballkanike për 2 flaut n°2 (Rhapsodie instrumentale balkanique pour 2 flûtes n°2). 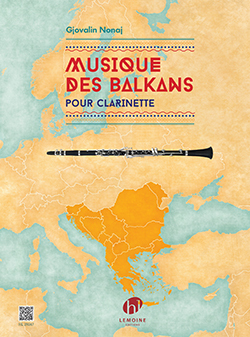 This collection contains a selection of melodies composed by Gjovalin Nonaj typical of the folk music of the Balkans, adapted for the accordion. The music is characterized by its wealth of melodic variations, in that sense, it differs from most styles of Western music. Energy, nostalgic melody and sense of rhythm … help form a complex sound, polymorphic. Many songs are written in different and irregular rhythms: there are many measures to 5/8, 7/8, 9/8 … with a wide variety of subdivisions. 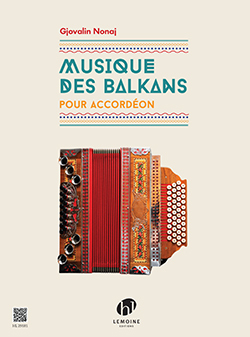 The accordion has emerged ahead of other traditional instruments of Albania, especially string instruments as lahuta (1 cord), the çifteli (2 strings), the sharki (6 strings). It is the same in other Balkan countries (the airlock in Bosnia, Montenegro kolo, the oro in Macedonia and Bulgaria). This music can of course be played by other instruments. We must not forget that this music is essentially festive. 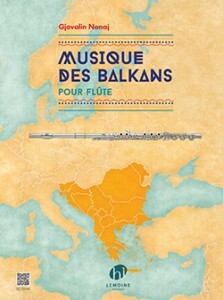 Like all folk music, they participate in the life of peoples and many family parties. 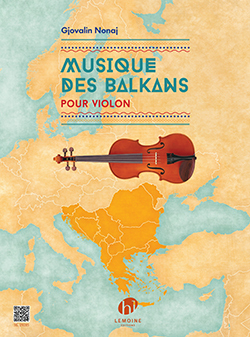 These festive music are original compositions for accordion, a key instrument of this Balkan music. They are adapted to a chromatic accordion and a level instrument fourth year. The author is a composer born in Albania and Albanian-Belgian nationality. The set is quite gratifying. 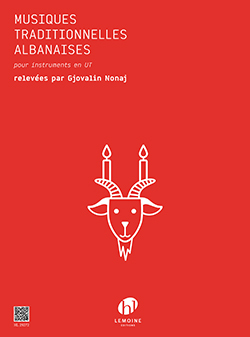 Valle motivates me Lezhjane – Melodi e gëzueshme – instrumental Melodi shqiptare (2 accordions) – Instrumental Suite – Pjesë për fizarmonikë – festive Valle – Rapsodi Popullore 1 – 2 Rapsodi Popullore – Valle Malsore – instrumental Pjesë Ballkanike.